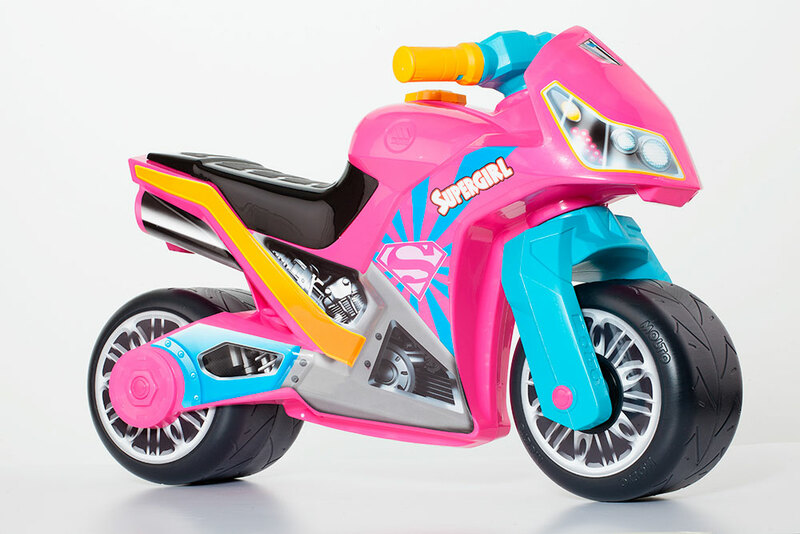 Supergirl's motorcycle bike awaits you to protect the world. 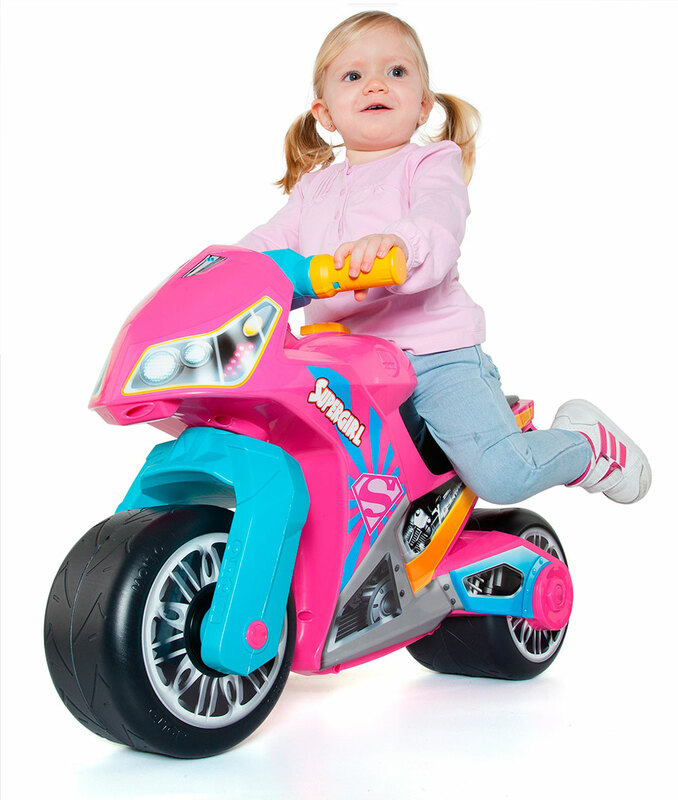 Your little one will love her after seeing her. 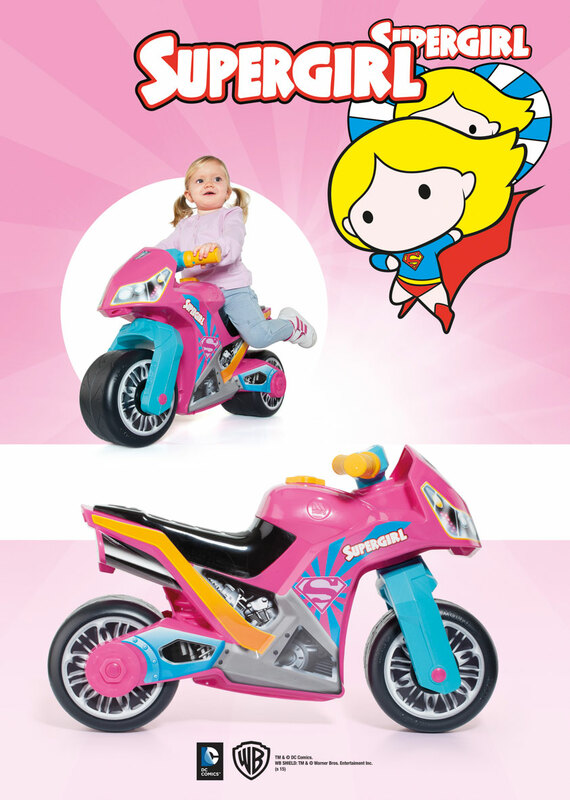 If your little girl thinks she is the best super hero and the strongest, this is her motorcycle. Mounted on it will do justice with her friends Superman, Batman and Wonderwoman. 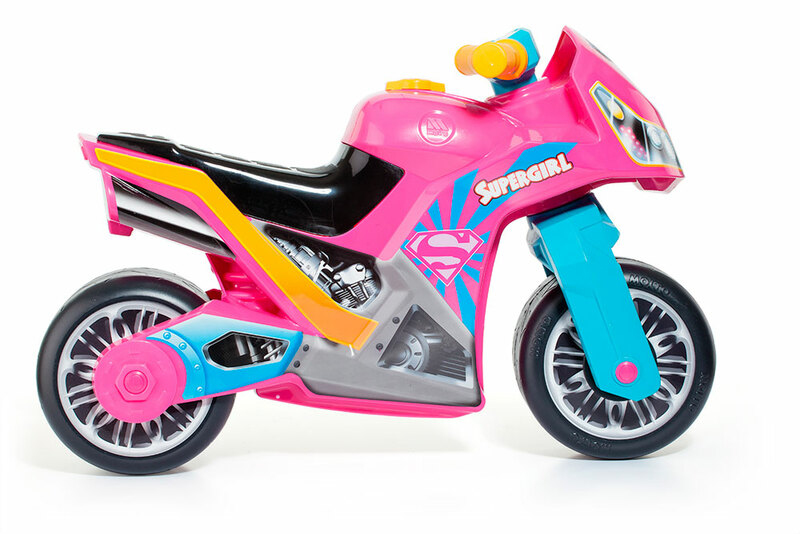 Supergirl's bike goes so fast you'll fly with it. The bikes materials are strong and resistent. Children from 18 months can give use to 36 months at least.